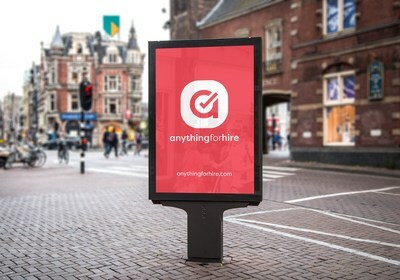 A new, Cardiff based tech start-up, Anything for Hire is aiming to follow in the footsteps of success stories like Uber and Airbnb, disrupting the UK hire industry with their innovative approach. AnythingforHire.com aims to make hiring services as easy as possible. These services range from hiring a limousine to a bouncy castle for a children’s party. This will cut time, inconvenience, and cost. Anything for Hire aims to follow in the footsteps of success stories like Uber and Airbnb, through revolutionising the UK hire industry with their innovative approach. Founded by technology entrepreneur, Tej Randeva, the idea behind Anything for Hire was born when he noticed there was no easy way to compare different quotes from various hire companies during the hiring process. With 15 years’ experience in the hire and IT industry, Tej was able to identify a clear consumer need in this sector. He saw great potential for a hire service that can bring you all the results in one place. Created by an experienced IT development team, they have worked extensively on new cutting-edge technology which aims to not only connect consumers to their chosen hire company but give them the freedom to look at different quotes, compare real-time prices and make big savings in the process. As Anythingforhire.com continues to grow and change the way the hire industry works, there will be a growing number of people behind the scenes making sure everything runs smoothly. Anything for Hire offers exciting opportunities for localised businesses to reach an entirely new set of customers, along with a free, easy to use booking system. This will allow small businesses to become more efficient and responsive so consumers will no longer need to call to know the availability of their services. 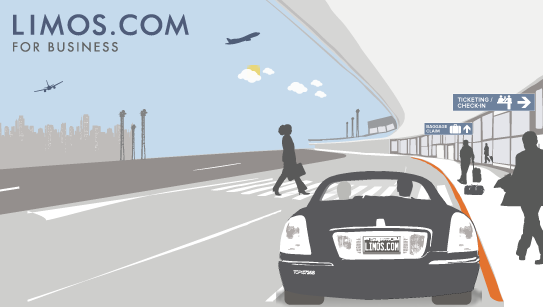 Today it has been announced that iCars, the infamous B2B platform and app, has acquired Limos.com. As the leading transport firm connecting corporations with professional chauffeur rides, this marriage of minds simply makes sense, with both businesses possessing the skill-set to accelerate iCars into new realms. Having raised over $20 million in equity, Limos.com enjoys a colossal three million visitors per year, as well as l4.5 million users in its database. Gary Bauer, Chairman and CEO of Limos.com predicts the partnership will generate $65 million to $70 million in earnings for 2017 alone, now enjoying the technology they need to lord the industry indefinitely. “All leads from iCARS and Limos.com will be pushed to partner operators,” says Bauer. Focusing on business travellers and leisure clients, executive cars is very much their niche, believing their personal touch to enable them to get into bed with big corporate clients following this acquisition. Bauer said, “We’re picking up major corporate accounts to drive business to small and medium size operators. You don’t have to be one of the top five operators to get work from these large companies” he continues. The acquisition will simply speed up the sales process, with all of iCars and Limos.com leads being put into one pot. “For the 1,000 operators already signed up with Limos.com, it’s business as usual, except they will have more opportunities for leads coming from iCARS, which before the merger, had access to a network of 6,000 limousine fleet vehicles” he continues. Let us know what you think about this merger by leaving your comments with us. Yesterday marked the closing day of the Coach and Bus Live Show, one of the largest industry exhibitions of the year. Welcoming some of the biggest names through the NEC doors the show was a complete success, celebrating the latest products and services to hit the UK transport market. Unveiling new technology, suppliers and coach and bus builders there was a lot of competition, with a variety of businesses to contend with. However, the Starline Limo Bus stole the show, being the loudest, most exiting stand Birmingham has ever seen. ‘We were incredibly humbled by the amount of attention and compliments our buses received on the stand, especially from coach operators.’Being a market that coach operators are seldom to get involved in Starline was shocked to see how many coach companies wanted to add an exciting element to their fleet, offerings something a little different than the standard coach or minibus. 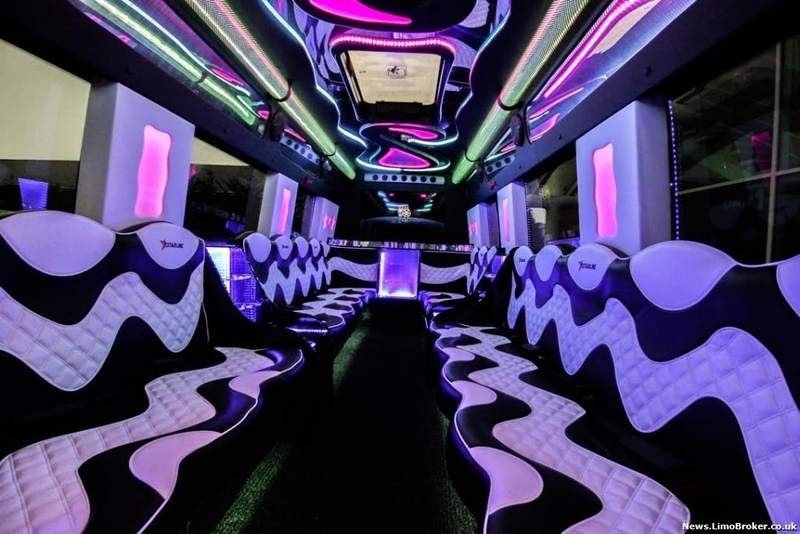 Exceeding expectations – 10 Starline Limo Buses Sold! ‘Before the show we set out with a vision to sell one bus, with the show being more about getting our name out there in the industry’. 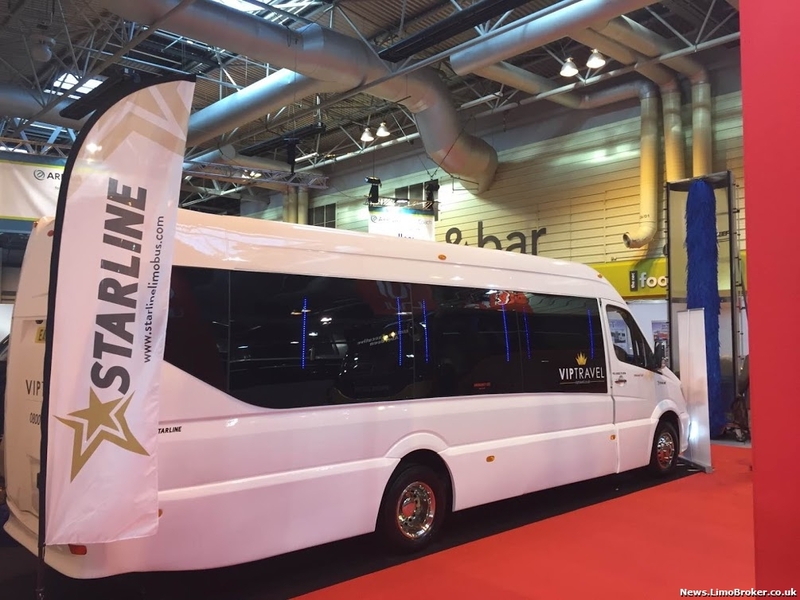 Selling 10 buses in total the Starline bosses were overwhelmed by the demand displayed, with coach builder Gary Johns putting this success down to the buses’ elaborate nature. 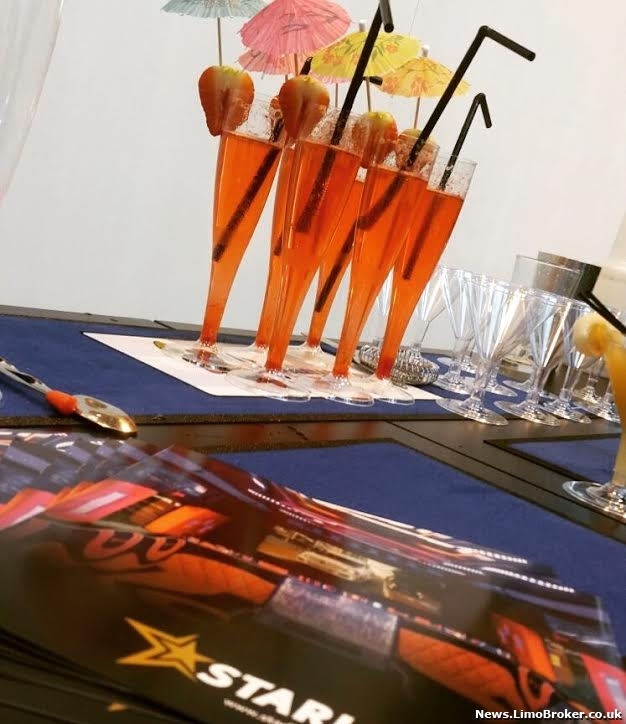 ‘When building the Starlines we wanted to create a vehicle that could be hired for a wealth of occasions. With our first two prototypes being extremely in demand for weddings, hen dos, stag does, proms, birthdays as well as corporate events we knew we had created a vehicle that operators would want to invest in’. Selling a bus within the first 30 minutes of the show the exhibition started as it meant to go on, with publications including Coach and Bus Week and Route One Magazine eager to climb inside the two Starlines on display. Enjoying a complimentary cocktail and a goodie bag packed with treats the stand was quickly branded ‘the party stand’ with professionals from all types of businesses intrigued to learn more about the buses. 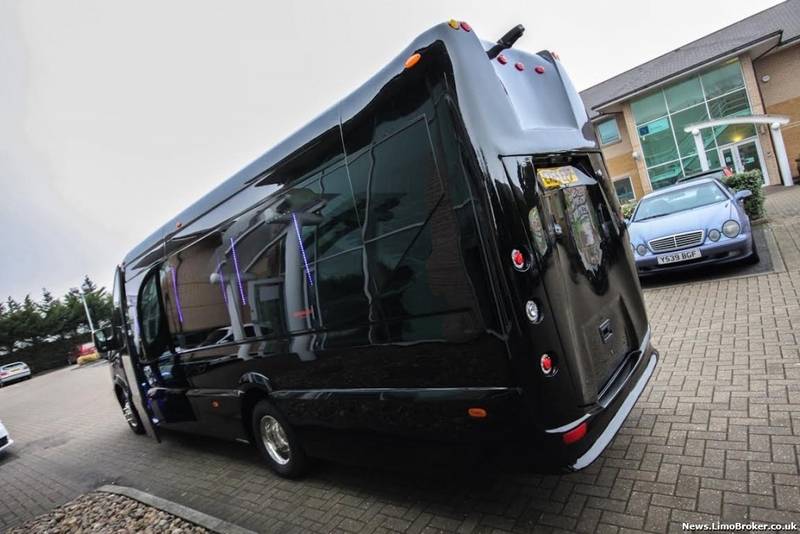 Although the buses basically sold themselves it was the hire scheme being offered that got people excited, with every purchaser getting guaranteed £10,000 worth of free work from Transport Broker Group, but more importantly an agency approval with Limo Broker, Coach Broker & Cars for Stars. 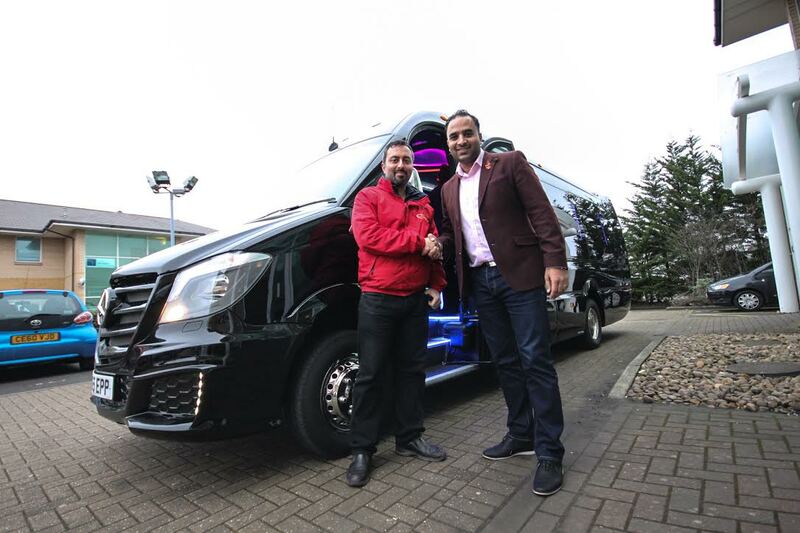 ‘The main gamble with investing in a new vehicle like this is not getting the work, this is why buying a Starline is a unique purchase, getting the support you need to get the vehicles out on the road’ Tej Randeva continues. 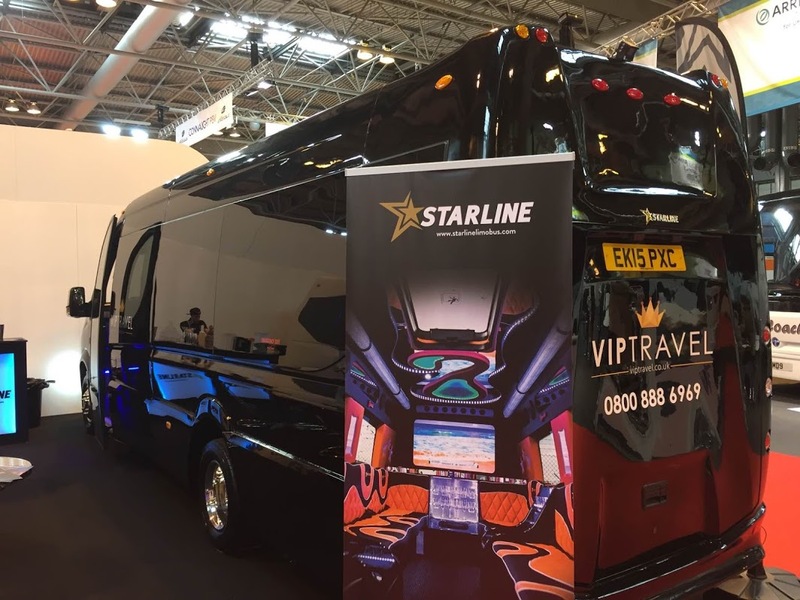 If you are interested to learn more about the Starline Limo Bus then visit the website today. There you will find more information about how the buses are built and the equipment and features you will find inside. Usually wedding days act as incredible times capsules, being an event that people can reflect on with fond memories. 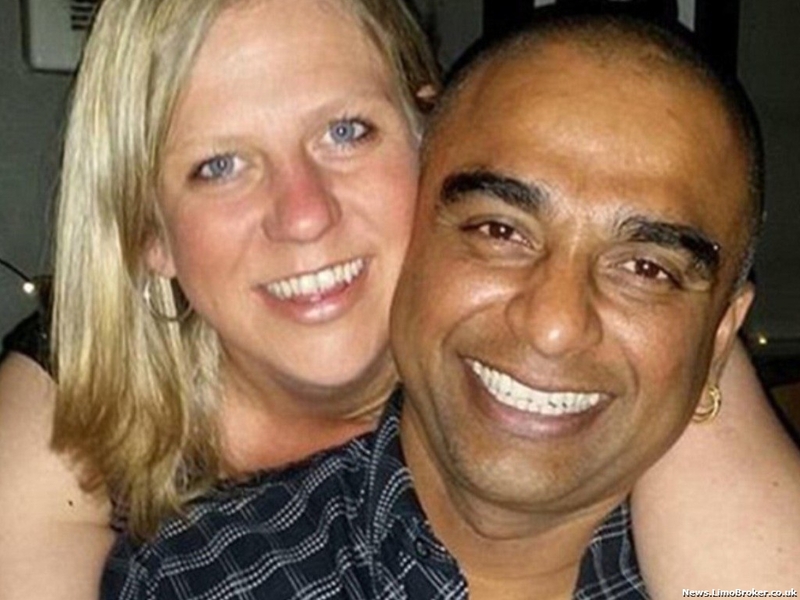 However, for bride and groom Rebecca and Rajendran Asekaran this was not the case, with their wedding car being involved in a tragic accident on the A27 that took seven lives yesterday afternoon. 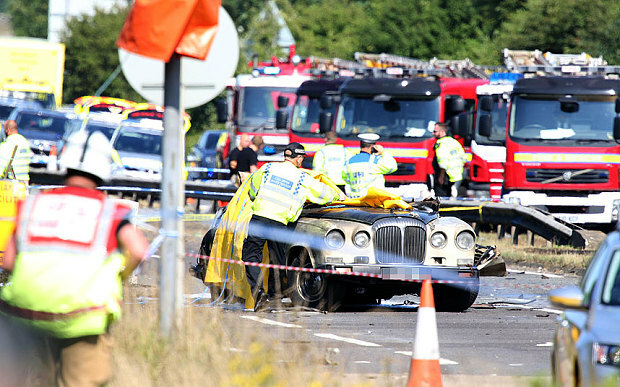 Where the driver of Luxury Daimler is yet to be confirmed what we do know is that a Hawker Hunter fighter jet smashed into the car, ripping off its roof and causing an almighty explosion. The plane, which was meant to be part of an air show, plummeted onto the dual carriageway and burst into a huge ball of fire, causing the motorway to come to a standstill of horror. First hitting a Vauxhall vehicle the plane then continued into the wedding car which was travelling on the other side of the road heading towards Worthing. Understandably putting a dampener on the day the couple did their best to not let this tragic ordeal ruin their celebrations. ‘We’re fine. The wedding wasn’t ruined, it was beautiful, it was lovely.’ Continued the bride. The Daimler is said to be fully insured, however, the firm are extremely saddened by the events that unfolded. Jay Sherwin, who works at the firm, told the Sun: ‘I can confirm that it is one of our cars but at this stage I do not know what happened to the driver. Terry Smith, who bravely risked his life to pull people from the vehicles stranded as flames has been referred to as both a ‘hero’ and ‘godsend’, facing danger head on in a strive to save lives. He revealed just how close he was to this terrible incident saying: ‘I can’t believe I escaped with my life. ‘It seemed to come in at a really strange angle. He just didn’t have enough height. I was just thinking, this is coming too close, it’s not going to make it, it’s not going to make it. At Limo Broker we are all extremely saddened by this news and would like to extend our condolences to everyone involved.